This section covers the disadvantages of going bankrupt and the effects bankruptcy will have on your life, finance and future credit rating. There are many long term disadvantages associated with Bankruptcy which need to be considered before you make your final decision. All available assets will be sold to your creditors in order to meet your unsecured debt commitments, including your home and possibly your car. Only those which are required for a basic standard of living will remain. If you live in rented accommodation and are behind on your payments, your bankrupt status may mean that your landlord can commence a possession action of their property. Any spare income will be paid to your creditors. It may hinder your future career prospects. For example, bankrupts cannot become company directors. Whilst this may not apply to you, you need to seek expert advice and refer to your contract of employment. There are a number of professions including the Post Office that will not employ bankrupts for some jobs; i.e. you cannot be a postman handling mail that may contain cheques. Additionally you cannot be in the armed forces or the police force. Certain other professions such as the legal and accountancy professions also impose restrictions on bankrupts. Your credit rating will take years to rebuild, as the bankruptcy order will remain on your credit file for six years. Thus you may not be eligible to open a new bank or building society once you have faced Bankruptcy. If you wish to gain credit in excess of £500 then you must declare that you have been made bankrupt. Bankruptcy details will be advertised in your local paper and can be viewed online at the Insolvency Service website. 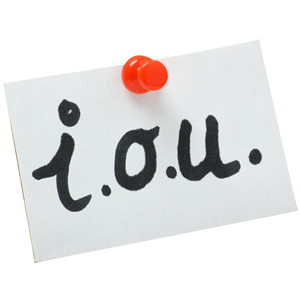 Certain debts cannot be written off, such as fines, maintenance or child support, personal injury debt and fraud.